Chinese propaganda poster. Color poster. Translation: "Happy garden." c.1970s. 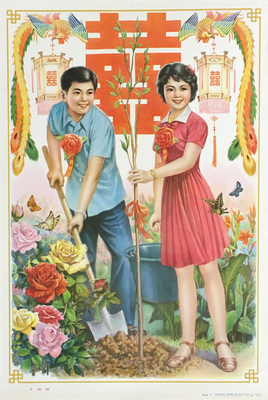 "Chinese Newlyweds Doing Yardwork". . Chinese Art Poster Collection. Whitworth University Library, Spokane.